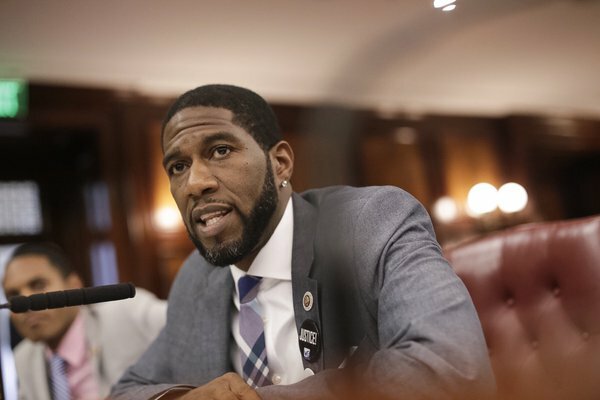 The City Council’s Committee on Oversight and Investigations heard a bill on Tuesday, sponsored by Council Member Jumaane Williams, which would require centralized reporting of data on police misconduct from multiple agencies to identify systemic problems and help create an early intervention system for the NYPD. To the disappointment of Williams and others, though, key stakeholders to be affected by the bill and instrumental in implementing it if it becomes law, were not present to testify at the hearing. The bill, Intro. 119, requires the Inspector General for the NYPD, whose office is part of the Department of Investigations, to provide a report every six months on cases of police misconduct, particularly civil cases filed against police officers, in order to develop systemic recommendations on training, disciplining and monitoring officers. Council Member Williams was a co-lead sponsor of the law creating the NYPD IG, which passed over a Mayor Michael Bloomberg veto in 2013. 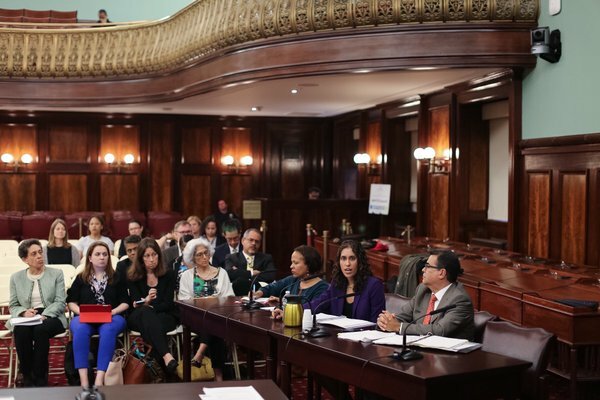 At Tuesday’s hearing, the city’s Law Department testified in support of the bill, which has been through a number of revisions since it was first heard at the Council two years ago. At earlier hearings, Law Department representatives expressed concern that they lacked the necessary resources to provide the data required and that some of the information may be confidential under attorney-client privilege. 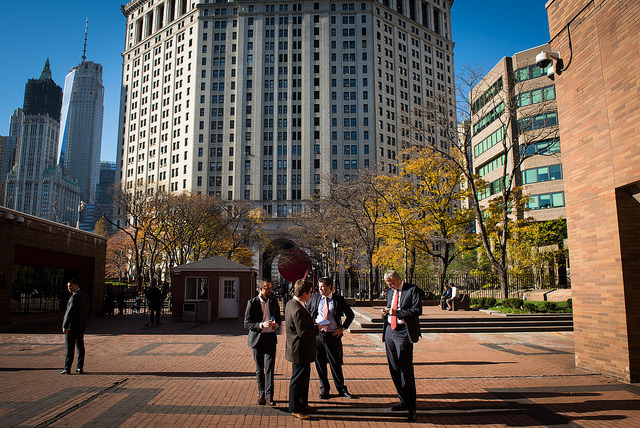 The department represents employees of city agencies, including the NYPD, in civil and criminal litigation. 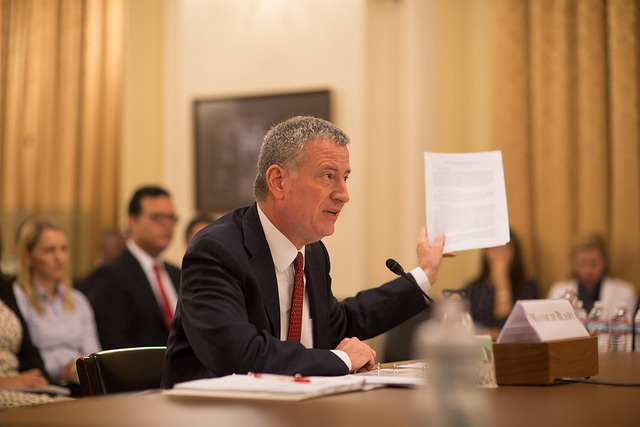 Other than the Law Department, there was no other testimony from the de Blasio administration or related entities. No one testified from the NYPD, the Department of Investigations, the NYPD inspector general’s office, the Civilian Complaints Review Board, or the Commission to Combat Police Corruption. Under the legislation, these agencies would coordinate to provide the required data. The absences of the IG and NYPD were particularly felt, considering the bill aims at reforming the police department and would be executed by the IG’s office. “Certainly there were questions here that were relevant to the PD, the IG or the DOI, and those questions couldn’t be adequately asked or answered because they were absent,” Council Member Vincent Gentile, chair of the committee, told reporters after the hearing. Council Member Williams also expressed disappointment that the IG and NYPD failed to show up at the hearing. “I think if they weren’t here, someone from the administration should’ve been here that can answer the questions as a whole because it does apply to more than just the law department,” he said after the hearing. The Department of Investigation declined to comment for this article. The NYPD did not respond to a request for comment. Representatives from the Legal Aid Society and the NAACP Legal Defense and Educational Fund also testified at the hearing. “This bill is an important first step in identifying patterns and trends of police misconduct and has the potential to improve both officer performance and police-community relations,” said Cynthia Conti-Cook, staff attorney at the Legal Aid Society’s Special Litigation Unit in Criminal Practice. The two organizations also proposed amendments to the bill to make it more effective. These included expanding the data collected, specifying how civil action data can be used, and ensuring transparency in the collection and analysis of the data. 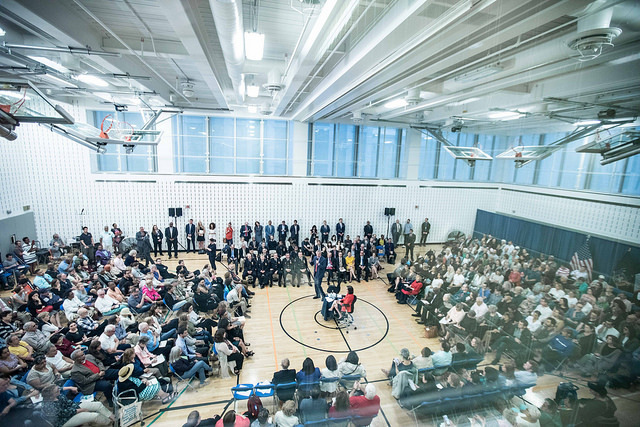 A concern brought up by Council Members Lancman and Helen Rosenthal was that the city should also collect and examine data on misconduct by precinct and geographical area. Law Department officials said this would be overly cumbersome and even possibly misleading in cases where police officers are assigned to different locations for specific events. A second-order effect of the bill that emerged at the hearing is a reduction in the city’s expenditure on litigation arising from misconduct cases. 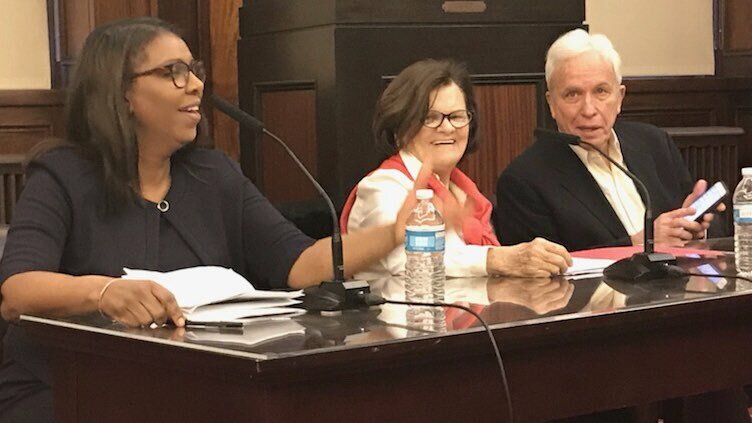 Early in the hearing, Gentile cited Mayor Bill de Blasio’s allocation of $4.5 million to the Law Department to fight the increasing number of lawsuits against the NYPD, especially frivolous ones. The Law Department’s Giovanni stressed that this funding was meant for hiring more attorneys to deal with cases faster and more efficiently. Later, in response to Gentile’s questioning, Giovanni said, “The more efficient information exchange we have, the more clear we are about trends, the more we know about what’s happening, I assume that hopefully more efficient our response will be, and ultimately that means cost savings. That’s the goal.” He estimated these savings would occur at least a year after the bill is approved.